Five star painting services by L&N Painters. 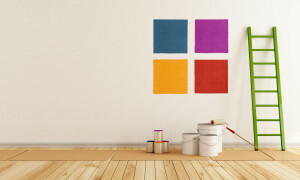 Family owned and operated painting outfit, Established in 2000. 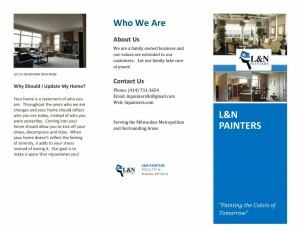 L&N Painters takes a personal approach to every painting job we do. The name of our company represents who we are and what we do best. We are painters who have dedicated our lives to mastering the craft of painting and honing our skills while staying true to our beliefs and values. L&N Painters took off by utilizing the knowledge we had acquired as Union Members in both Milwaukee and Chicago for 15 years. Ever since, we have insisted on dedication, development and overall growth for our painting company, while our focus has always been; our family values as well as our customers guaranteed satisfaction. If you want to breathe new life into your home or business facility, we have what it takes to get the job done to the highest industry standards of quality. With more than 30 years of hands-on experience, we offer a full range of painting services to residential, industrial, and commercial clients. We take great pride in adding style and value to the properties we paint. Whether you need interior painting, exterior painting, or staining, we will go out of our way to meet your needs and exceed your expectations. There is no job too big or too small for us to handle in a professional, dependable, and timely manner. We listen to the needs of our clients, and our ultimate goal is deliver a professional and customized painting service at an affordable price. We are a fully insured and bonded company, and with us, you can have peace of mind that your project will be completed by qualified, respectful, and dedicated professionals. We use top quality paints and painting tools to ensure breathtaking results that will stand the test of time. We offer free consultations, so do not hesitate to call us now and get yours! Contact us today at (414) 731-3654! 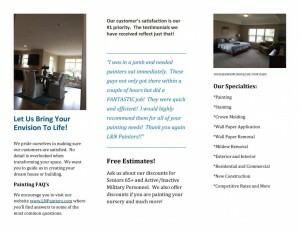 Perfect painting company for people in the Franklin, WI area. Call at (414) 731-3654 today and reach L&N Painters!